During the past three and a half months we had the privilege to visit our home country South Africa, from the end of June until middle October. The purpose of the visit was to thank our supporters and to give feedback about our life and work in Japan. This is a necessary event every three years, in order to sustain long-term support for our sending organization, Mission Japan. The whole visit took almost nine months of in-between planning and organizing, before our departure. In general everything went very well. To speak freely (and preach) in our mother tongue, Afrikaans, felt like a fresh breath of air. To experience South Africa’s rich bio-diversity, vast landscapes and its diverse peoples, was once again invigorating. In the process we were also able to see our family and friends and deepen our relational ties. The fellowship and sense of belonging in our homeland was a true blessing to experience. There was also time and opportunities for some necessary rest. We realized afresh that we, as missionary family, are but a “small cog in a large wheel”. Our life and work forms part of a huge network of supporters and leaders that each have their own roles and responsibilities within Mission Japan. We are very grateful to be part of such a team, which wholeheartedly supports the long-standing partnership with the Reformed Church in Japan (RCJ). 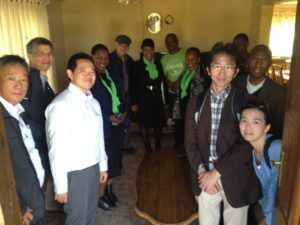 We had more than 50 opportunities to visit supporters, mainly coming from churches of the Dutch Reformed family of South Africa. Sunday morning and evening worship services made up 20 of these opportunities. It included more than 3500 people who heard the message concerning our life and work in Japan. The video and powerpoint presentations I shared, focused on the Japanese context in general, as well as on Kobe Reformed Theological Seminary and our other church related ministries. The other 30 meetings with supporters consisted of groups between 5-50 people at a time, during weekdays. It ranged from small rural towns to big inner cities, and stretched over six very diverse, main regions of the country. I travelled more than 8500km to these destinations by car, and many more by airplane, to make these visits. In the process I slept in 25 different beds, and received the warm hospitality of countless friends. Carina and our children were also part of some of these visits, in the regions closer to our basis, which was located in Still Bay. The keyword here is “partnership” (koinonia). Partnership for the sake of the gospel. The Philippians partnered with Paul on his missionary journey. No other church partnered with him when he left Macedonia. But the Philippians supported him consistently when he was in need, especially in tough and challenging times. Their concern for Paul was because they valued the truth of the gospel. And Paul himself ignited that attitude in them, fueled by the work of the Holy Spirit. This gave Paul much joy: that this wonderful, vulnerable group of people did so much good work. Their perseverance in partnership was a sure sign of God’s work in them. We praise the Lord with deep joy and gratitude, for the big network of supporters that have been with us these past years. Some people whom I met while doing visits this time, have even been involved as supporters since more than 40 years ago. They possess a wealth of wisdom and depth of commitment that once again inspired us. On the other hand, many children and youth also became aware of Japan and its needs and realities. Their involvement adds a necessary dose of vitality to the partnership. We are especially grateful for new individuals and congregations that have made fresh commitments to be with us on the long road ahead. Their prayers, involvement, encouragement and financial support, are indeed like a strong safety net for us. 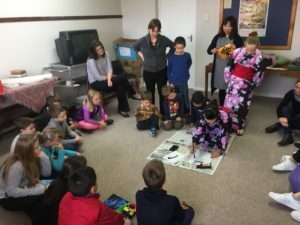 It gives us hope and new vision to continue with passion in the Japanese mission field, which is sometimes described as a marsh or a graveyard for missionaries. One other meaningful dimension which was unique to this deputation visit, was the focus on diaconal partnerships. After the triple disaster (earthquake, tsunami and radio-active damage) that struck North-East Japan on 11 March, 2011, the RCJ got involved in various diaconal actions within various communities in Japan. Many valuable lessons were learned. 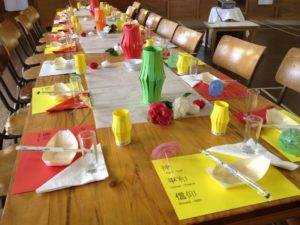 The Dutch Reformed family of churches supported the RCJ in these efforts in various ways. When South Africa experienced a similar crisis in terms of the recent fire disaster in Knysna (June 2017), our RCJ brothers and sisters assisted with financial aid. In these ways we are mutually supporting and learning from each other, in terms of relief care and diaconal work in terms of natural disasters and more. 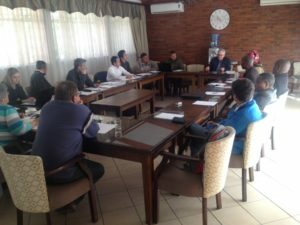 I was privileged to share discussion about such issues with the Diaconia team leaders (of the DRC and URCSA) in the Western Cape Synod. We look forward to deepen these discussions and involvements in the future. 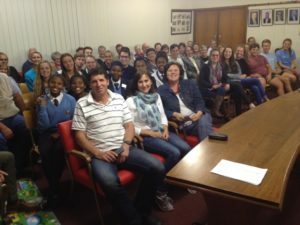 From August 29 to September 5, a delegation from the RCJ visited South Africa. Two pastors (Revv. Hirotsugu Mochida and Makio Nishi) as well as an elder (Dr. Shin Toyokawa) represented the RCJ Synod Diaconal Action Commission (RCJ DAC). 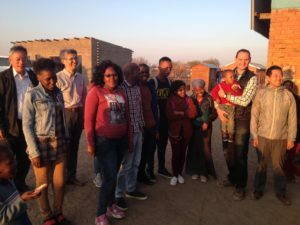 The main purpose of their short visit was to deepen their involvement with a specific diaconal project in Botshabelo township, outside Bloemfontein. Furthermore, they were involved in visits to various congregations and church related events. 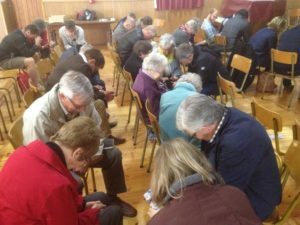 This was done under the auspices of the DRC Free State Synod, and specifically its organization called “Partners in Mission”, led by Dr. Gideon Van der Watt. The Botshabelo community is experiencing many difficulties due to extreme poverty, unemployment, disintegrating family life, the challenge of HIV and Aids, etc. There is a relatively high percentage of vulnerable and orphaned children – children at risk – in the Boshabelo area. 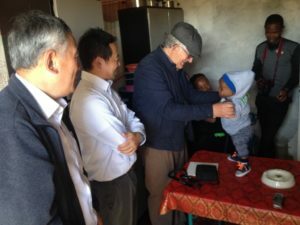 The RCJ DAC entered into a formal partnership with the Setshabelo Family & Child Services (SFCS). It is a registered welfare organisation (NPO) and designated Child Protection Organisation. SFCS has been working since 2014 in partnership with the Department of Social Development, local churches and communities, as well as international partners. It is currently receiving no grants from government and is dependent on donations, fund raising, sponsorships, etc. SFCS renders the following services: Adoption; Foster Care Services; Family Interventions / Family preservation services; Church Engagement, Parental Training and Screening; The Child and Youth Care Centre (CYCC); Administrative Support etc. Financial assistance (as and when possible), for specific projects as mutually agreed upon. The focus of the assistance will be on: enhancing CYCC and assisting/corresponding with selected adoptive families. When possible, the RCJ DAC will send volunteers for periods to assist with certain mutually agreed upon projects. The visit of our three brothers from Japan was truly meaningful and inspiring in many ways. I was privileged to share many deep and hopeful experiences with them, as we travelled to many different places. We were constantly in conversation, trying to translate and make sense of a diversity of meetings with people from different backgrounds and cultures. Between Japanese, SeSotho, Afrikaans and English expressions, we enjoyed an overabundance of possible interpretations. It led to a rich experience of newfound relationships, and a shared vision for future partnerships, for the sake of God’s Kingdom. a church (DRC Towers of Hope) working with the homeless and poorest of the poor. All in all, this RCJ delegation’s visit was really significant. To view South Africa and its people, the relations between church and community etc. through our Japanese brothers’ eyes, was truly meaningful and enriching. Once again our partnership – as brothers and sisters in Christ from radically different contexts – was deepened and strengthened. Indeed we need each other as members of one Body of Christ, albeit from different corners of the globe. During our visit I had the privilege of presenting academic lectures at two Faculties of Theology, at Stellenbosch University, as well as at Free State University (in Bloemfontein). In light of this year’s Reformation 500 celebrations, I focused these lectures on the historical development of Pastoral Theology and Pastoral Care, from a Reformed perspective. The aim was to explore its significance and meaning today. I informed this topic from my experiences in pastoral ministries, both in South Africa and Japan. It was an enriching experience to share ideas with under-graduate and post-graduate students, as well as with lecturers and pastors at these two faculties of theology. As a research fellow of the department of Practical Theology and Missiology, at Stellenbosch University, this kind of interaction is necessary and significant. The meaningful conversations that ensued, and the contacts made, will surely inform and enhance the content of my teaching at Kobe Reformed Theological Seminary. From September 25-27, we have had a blessed meeting of Mission Japan’s general committee, gathering at Still Bay. We recommitted ourselves to our calling to be disciples of Jesus Christ in Japan. We built new relationships and reaffirmed our vision and mission. Mission Japan was also restructured to function more effectively and to strengthen our current support network. 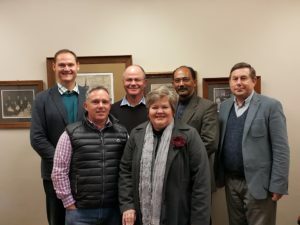 The group of six pastors from the Dutch Reformed Church in South Africa, that visited Japan in April 2017, participated in a special conference hosted by DRC Still Bay congregation. Rev. 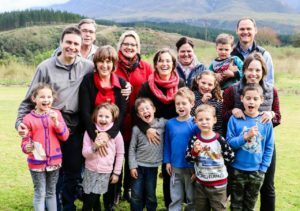 Tobie de Wet and his wife Annalie, together with the local church leaders, led and hosted us all with warm hospitality. 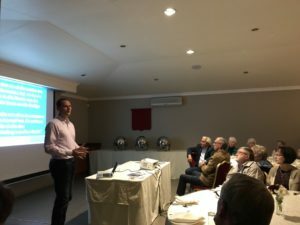 Many church leaders from surrounding towns also participated, and the group of six pastors shared various, very inspiring experiences from their visit to Japan. After the conference, Mission Japan’s general committee continued discussions on numerous important issues concerning the future of our work. A decision was made to start a process to enlarge our involvement with the Reformed Church in Japan, by recruiting new missionaries. This process may still take some time, but we trust that God will provide in the need for new and able candidate missionaries. 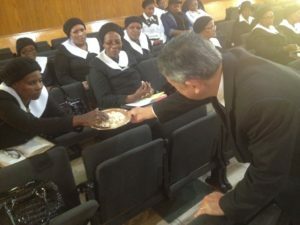 Mission Japan is also excited about the possibility that the Reformed Church in South Africa (our sister church) might join us, as an official partner in this venture. Discussions about these developments will in due course continue with the relevant RCJ representatives. Furthermore, the management committee had a special pastoral conversation with myself and Carina. Their loving care and earnest concern for us was, as always, evident. We could share our honest feelings and experiences in the safe space of their empathetic listening. In hindsight these past three months were truly blessed, but also quite disruptive for our family at times. Carina had to continue with homeschooling in various new settings, and amidst the fact that I was away with church visitations for long periods of time. The consistent involvement and care of Tobie and Annalie made this bearable and meaningful. During our meeting we could celebrate and bring thanks to God for the blessings bestowed upon Mission Japan – in multiple ways. Relationships between us as members of the Mission Japan team, were deepened. We were inspired to utilize our God-given gifts to the best of our abilities, for the purposes which God calls each of us to do. Carina and I and our children were once again filled with gratitude and appreciation for such a compassionate and concerned team that support us. We praise God for a very blessed time of deputation. Soli Deo Gloria!